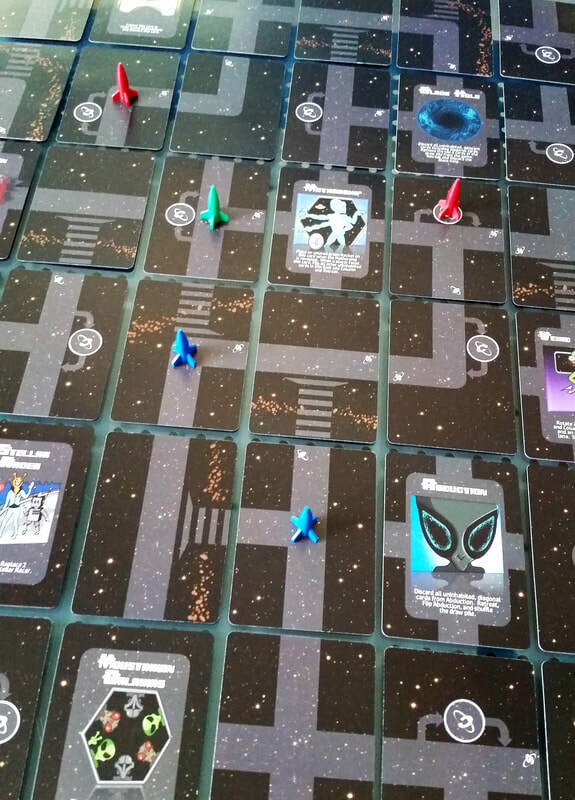 ​Race through a galaxy of asteroid fields and hyper-lanes avoiding alien invasions! Stellar Racers is based on our game Woven In Myth, only now in space! Stellar Racers adds some new rules such as being able to cloak your ship to avoid hostile alien contact, and hyper-lanes to jump closer to your goal. Stellar Racers also adds the dynamic of team play, a 2 on 2 race across the galaxy. Be the first to move your rocket across a map of stellar anomalies while flipping and rotating cards to victory! ​Contents: 50 Map Cards, 2 Rules Cards, 5 Rockets, Box.